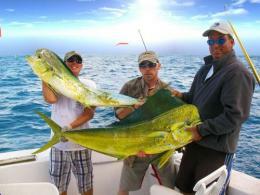 This Deep Sea Fishing Trip in Fort Lauderdale, FL will take you out to the Atlantic Ocean; a couple of miles off shore. This deep sea fishing trip will be aboard an 80 foot Drift Fishing boat. 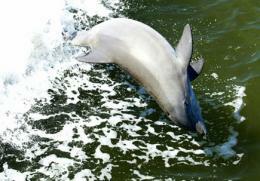 This is the best way to go deep sea fishing in Fort Lauderdale without spending a lot of money. We have three 4-hour fishing trips every day. 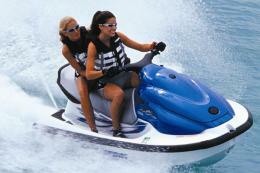 The price of $39.95 includes a fishing rod, fishing bait and tackle. A fishing mate may help you bait the hook and get the fish off the hook. The fishing crew is experienced, professional, friendly, and most importantly... good at fishing. You are allowed to bring a cooler for food and beverages (no glass). A fishing license is not required and you can keep what you catch. The fishing mates will even clean and filet the fish that you catch. 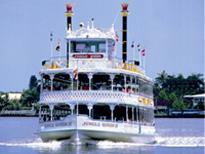 This fishing boat is the best deep sea fishing boat in Fort Lauderdale. FL. 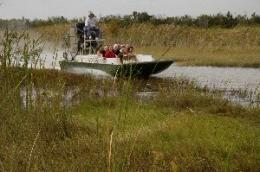 The boat is a large and well-equipped fishing boat that is coast guard certified, licensed, and insured. There is an inside seating area with air-conditioning. There are two bathrooms on board. There is a large ice chest which will hold the fish that you catch until you get off the boat. The morning and afternoon fishing trips will take you Drift Fishing in approximately 100 feet of water and about 1-mile off of Fort Lauderdale Beach. Go fishing for King fish, Mackerel, Tuna, Bonito, Mahi Mahi, Wahoo, Snapper, Grouper, and even the occasional Sail fish. Different species of fish will bite at different times of the year but there are a lot of different species in the deep sea to catch. Fort Lauderdale has a year round migration for fish. The night fishing trip provides the most action. The fishing boat will anchor near Fort Lauderdale's coral reef in approximately 40-60 feet of water. This is where you will find the most fish. The fishing mates will chum the water to attract even more fish. You may catch Snapper, Grouper, Cobia, King Fish, and lots of other reef dwelling fish. If you're looking for action, the night anchor fishing trip is a great choice. *Directions will be provided in your email confirmation. *Reservations are required. Please book online.